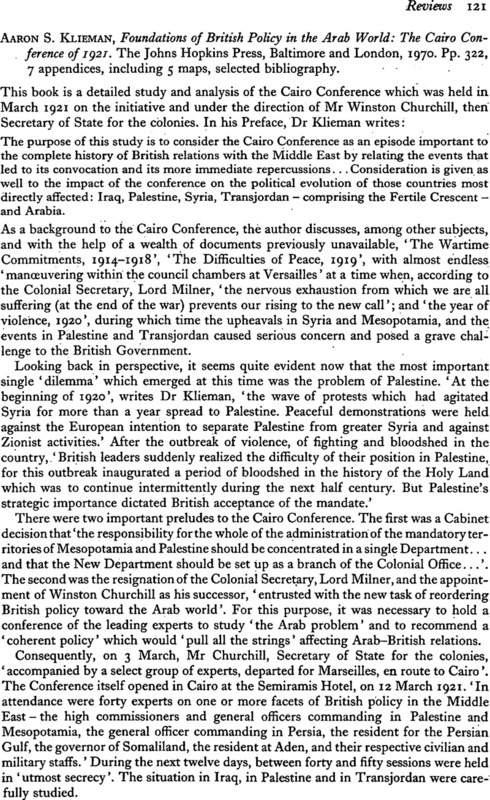 Aaron S. Klieman, Foundations of British Policy in the Arab World: The Cairo Conference of 1921. The Johns Hopkins Press, Baltimore and London, 1970. Pp. 322, 7 appendices, including 5 maps, selected bibliography.